In 2004, Entrepreneurship Week UK was launched through the initiative of former British Prime Minister Gordon Brown. Inspired by the event, the United States held Entrepreneurship Week USA for the first time in 2007. Global Entrepreneurship Week is the combination and extension of these two events. Shanghai Technology Entrepreneurship Foundation for Graduates sponsored Entrepreneurship Week China in 2007. The weeklong event links millions of young people around the world through local, national and global activities to help unleash their potential for entrepreneurship and innovation. 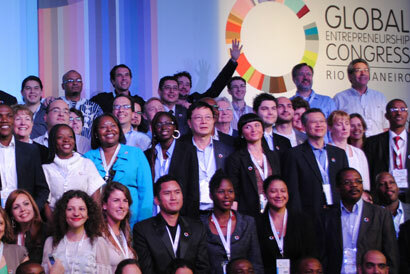 Entrepreneurs, students, educators, businesses, business leaders, employees, leaders of non-profit organizations and government officials will participate in a series of activities to mobilize all sectors of society, move people to action and accelerate the development of entrepreneurship worldwide by promoting local and global entrepreneurial activities. This global initiative inspires young people to develop their ability to innovate, imagination and creativity. Global Entrepreneurship Week promotes an entrepreneurial culture through passionate global interactive activities. This culture will take root in people's daily lives, so that young people can feel an entrepreneurial atmosphere in all places and at all times (at school, at home, on the Internet, and at work). Such a new attempt as Global Entrepreneurship Week can unleash the entrepreneurial potential of young people and give rise to a new generation of entrepreneurs. They will actively seek to acquire the knowledge, skills, contacts and values required for establishing an innovative and sustainable business, thereby having a positive impact on their own life and people around them. In 2008, Shanghai Technology Entrepreneurship Foundation for Graduates (EFG) launched Global Entrepreneurship Week China.The event revolves around the theme of "Pooli Wisdom, Empowering Entrepreneurship", enjoys strong support from t government, colleges and universities, businesses, the media and other sectors of society and is currently the highest level event in China geared towards college students and other young people with a view to inspiring entrepreneurial dreams, spreading entrepreneurial cultures and exchanging business practices. 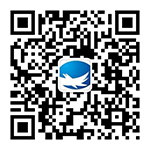 In 2013, President Xi Jinping sent a letter of congratulation to Global Entrepreneurship Week China. Clustering force: A total of 100000+ people attend the event annually. Participants include entrepreneurs, entrepreneurial organizations, investment institutions, companies interested in entrepreneurship, etc. Influence: 17 provinces, 123 cities and more than 160 colleges and universities across the country, a total of more than 150,000 participants, more than 120 media partners. Creativity: Cooperate with more than 50 organizations each year, more than 100 themed entrepreneurial activities, more than 20,000 business plans. 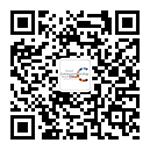 Shanghai Technology Entrepreneurship Foundation for Graduates (EFG) was established in August 2006 and is the country's first non-profit public foundation that motivates college students to undertake technology entrepreneurship. The foundation is committed to spreading the culture of entrepreneurship and supporting the practice of entrepreneurship and is aimed at blazing a path to charity-based and market-supported "public benefit based, market driven" system and mechanism innovation. Since its inception, EFG has been using specialized teams and pooling social resources to carry out key work in fields such as entrepreneurial culture, entrepreneurial studies entrepreneurship education and entrepreneurship projects. It has set up 15 sub-foundations and five specialized sub-foundations in conjunction with various colleges and universities, districts, counties and incubators to build the country's first non-profit public foundation that spreads the culture of entrepreneurship and motivates college students to undertake technology entrepreneurship. The foundation committed to spreading the culture of entrepreneurship and supporting the practice of entrepreneurship is aimed at blazing a path to charity-based and market-supported "two-wheel driven" system and mechanism innovation. 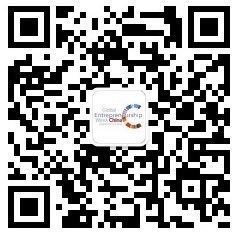 In 2014, EFG received a total of 896 entrepreneurship project applications and funded 239 projects with the amount of funding reaching 51.08 million yuan. By the end of February 2015, EFG had received a total of 4148 project applications and funded 1080 projects with the total amount of funding reaching 202 million yuan, creating nearly ten thousand jobs. Copyright漏 2007-2018 Global Entrepreneurship Week, All Rights Reserved.